If Georges Romero’s masterpiece Dawn of the dead in 1978 was understood as a critic of an american system based on the celebration of the costumer, it seems clear when watching and Stalley’s video Live at the Blossom directed by Bryan Shlam that the critic is gone and that we are into a true celebration in which american values seem to bond with the american industrial results in term of product. From the burger to the nike shoes from the bmx to the casino dices, the symbols are clear and loud, and it is about one of the most interesting videos I have seen in a while. 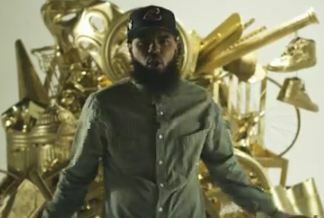 As for Stalley, you know How I feel, so I’ll be hiding till some clear comes up.